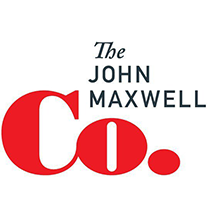 John Maxwell shares seven principles that can guide your planning process and, in doing so, help you achieve your dreams. You may have heard the expression, "Rome wasn't built in a day." Well, Rome wasn't built on accident, either. The coliseum, the pantheon, Saint Peter's basilica... these architectural marvels weren't the offspring of happenstance. They were created only after architects had spent countless hours developing blueprints of the buildings' foundations and structural frameworks. A blueprint, as the outline of the building plan, is a vitally important document. Even so, the blueprint only represents a small step in the planning process. Before a building can be constructed, its planners must also budget expenses, consider what raw materials to use, and determine how to recruit labor. A good building plan starts with a blueprint, but extends far beyond it. It's hard to achieve anything consequential without a written plan. However, putting a plan on paper isn't enough. Regardless of how thorough, concrete, or ingenious a plan may be, it won't happen unless additional ingredients are injected into the planning process. In my experience, I've observed seven principles that are absolutely critical to successful planning. When we're passionless, we procrastinate on the plan or burnout trying to execute it. With passion, we approach our plans with excitement and a sense of urgency. Passion gives planning energy. Passion also gives planning focus. As Tim Redmond says, "There are many things that will catch my eye, but there are only a few things that will catch my heart. It is those I consider to pursue." Passion narrows our vision so that the plan dominates our attention and distractions fade into the background. Of the seven planning principles, we violate the principle of creativity the most. By gravitating to concreteness, we sacrifice creativity. We settle for what's easy to wrap our minds around, and we neglect to wrestle with harder, more difficult dilemmas. I'm convinced that leaders are too busy doing to think and provide ideas. Even the rare leaders who think creatively often neglect to encourage the people around them to do the same. Consequently, a majority of teams rely on one person for creative thought and end up starved for good ideas. When you prepare your plans, ask yourself the question, "Am I able to influence the resources needed to fulfill my planning and mission?" To accomplish your plan, you'll need influence over people, finances, and your schedule. The support of people, especially other influencers, can make or break your plan. Make a priority to build relationships with them. In particular, find the key to their lives by learning what matters most to them. If you continually add value to the influencers around you in meaningful ways, then you'll be more likely to receive their assistance when you need it. I'm amazed by the amount of people who begin to plan their careers before taking the time to prioritize their lives. You have no right, nor any reason, to start planning your life until you know what you're living for and what you're willing to die for. It's important to find your purpose so that you run, not on the fast track, but on your track. The key to a prioritized life is concentration followed by elimination. As Peter Drucker observed, "Concentration is the key to economic results. No other principle of effectiveness is violated as constantly today as the basic principal of concentration. Our motto seems to be, let's do a little bit of everything." We must cease to dabble in everything before we can become excellent at anything. In leadership, be mentally prepared that not everything will go according to your plans. Then, when plans unfold unexpectedly, you'll be prepared to see new opportunities. Some of the best things I've received in life have been surprises that I could never have planned in advance. When plans go awry, don't just stand there. By staying in motion, you create movement. Be resourceful enough to improvise when circumstances push you off course. I credit Robert Schuller for teaching me a lesson about timing-the peak-to-peak principle. Most of the time, our decisions are based on our emotional environment rather than reality. When we're in the valleys of life, we don't see clearly. Our perspective is limited, and all we see are the problems around us. In the valleys we make decisions, not to better ourselves, but to escape our problems. Never make a major decision in the valleys. Wait until you get to the peak where you can see clearer and farther. By reserving big choices for the peaks, you'll avoid making rash decisions that you'll regret later. A worthwhile plan ought to be bigger than your abilities. You shouldn't be able to accomplish it alone. Each of us has areas of weakness, blind spots, and shortcomings. Unless we rely on a team to help us, our plans succumb to our personal limitations. A sign in Coach Bill Parcells' office stated his philosophy plainly, "Individuals play the game but teams win championships." What we can do alone pales in comparison to the potential we have when we work together.